The Passport is built for road trips with an amazing interior volume (157.1 cu.-ft.) and class leading passenger volume (115.9 cu.-ft.). With five people inside, you still have more than enough space for a weekend camping trip or outdoor adventure. 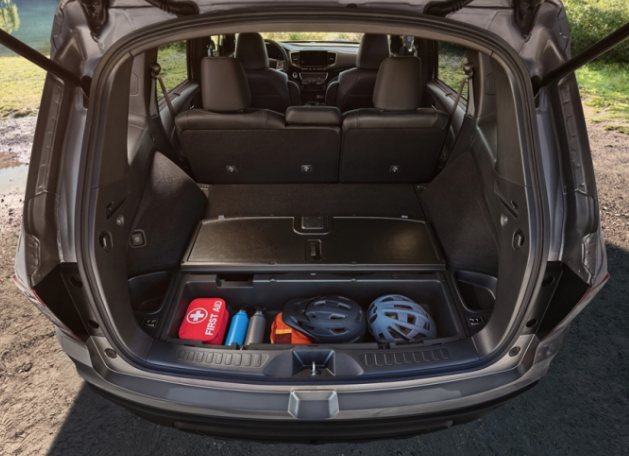 When there aren’t any passengers in the back, it’s easy to fold down the seats and create even more storage area. Also, the Passport comes equipped with a special underfloor storage area that makes it easy to safely store items out of sight. The Passport keeps you focused and entertained on the roads thanks to the long list of modern technology options. Apple CarPlay and Android Auto are both available on the EX-L trim and above. Bluetooth and 2 USB ports come standard on every Passport, as you climb up the trim levels, the Passport adds features like a third USB port, navigation, 4G LTE Wi-Fi Hotspot, and Wireless phone charging. Honda is proud of it’s reputation for being consistently conscious of the safety of it’s drivers, which is why they are making the Honda Sensing package standard on all Passports. Honda will also be including both the Multi-angle rearview Camera and bird’s eye view camera as a standard feature in all Passport models. The 2019 model is an SUV, and it was originally conceived in 1994. It’s expected to be 6-inches shorter than the 2019 Pilot. 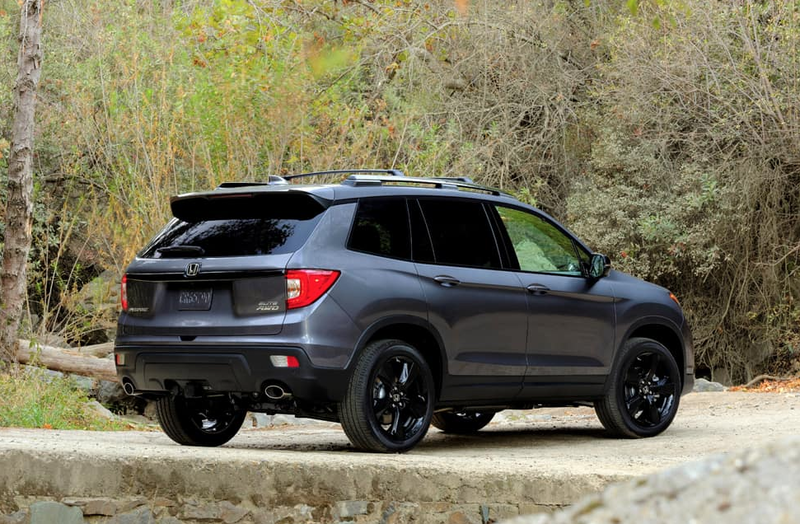 Rumor has it that the model will feature a 3.5-liter V6 engine similar to that of the Pilot, but we’re unsure of its horsepower offering for Seattle drivers. 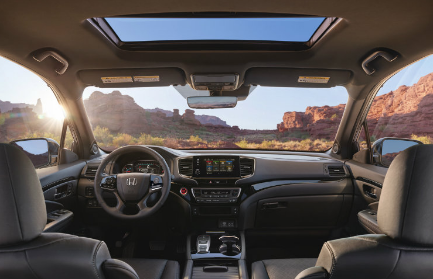 Based on current models, we would expect nothing less of Honda than to offer the Honda Sensing® suite in the 2019 Passport, giving New York drivers additional security. Whether you live in the 11435, 11434, 11101, 11378, 10013, 11040, 11563, 11373 or any other neighboring zip codes in NY, NJ, or CT we want you to be the first test drive the 2019 Honda Passport! 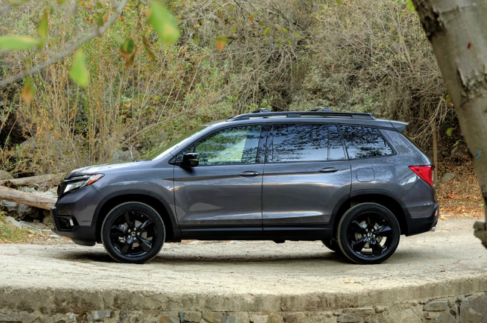 Test Drive the 2019 Honda Passport at Hillside Honda today!